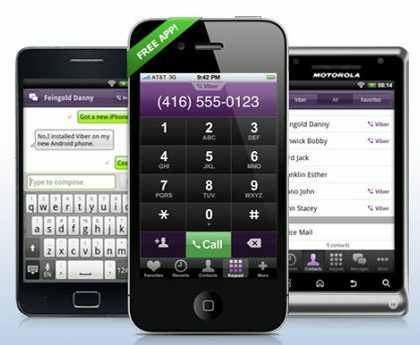 Viber, the Android and iOS which allows users to call and text other Viber users for free has now crossed the milestone of 50 million registered users. The Israeli startup has reached here in just a little more than a year. If we go by the facts that the company has revealed that in a month Viber users make over 150 million calls and almost a billion text messages in the same timeframe. This includes Viber users in a total of 193 countries. Also over 20 million photo messages are exchanged by users every month. Well now that’s quite huge number of data exchanged every month. Impressive enough, but if we dig a little into the maths, then Viber users are making only 3 calls per month, on average which goes on to say that not all of the 50 million users are active on the app but then Text messaging is the feature that users love more. Also the company says that every day around 200,000 new users sign-up for the service. All this has been achieved by the company beating many strong competitors like Skype, Nimbuzz, fring and eBuddy to name a few. If you still don’t use Viber then download the app for your Android and iOS now.